In all aspects of Orlando family law, the lawyers of the Kramer Law Firm will aggressively work to protect your rights, the rights of your children, and get the best possible outcome for your case. We believe that practicing law with honesty and integrity are key ingredients for the success of our clients. For most of us, family is the basis of our identity. It asserts where we came from, and shapes who we become. When the family unit breaks down, it affects more than just the two people getting divorced. We understand the painful impact of the dissolution of a marriage. We also recognize that opportunities and a fresh start can stem from a properly handled divorce. And, whether you are facing a divorce, child custody dispute, prenuptial agreement or adoption, we can apply Florida family law to protect you. Because so much is at stake, it is our job to consider your family’s well-being in its entirety. We have helped thousands of people through some of life’s most difficult challenges. Good family lawyers have more than a deep knowledge of Florida divorce laws. They must know how to listen and understand your situation. When emotions run high and uncertainty tries to take the upper hand, we provide confidence and peace of mind to those we represent. At The Kramer Law Firm, you will always be treated with respect and dignity. We will explain Florida family law to you in a clear, straightforward manner, and advise how critical decisions may affect you and your family for years to come. You will always know where your case stands, with realistic assessments of your chance for success. Learn more about the Orlando family law lawyers of the Kramer Law Firm. In addition to emotional stress, trials often bring unnecessary expenses to the table. The last thing you need is a divorce attorney who adds to the costs. 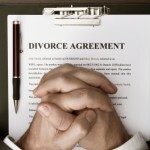 In our practice with Orlando family law, our lawyers have extensive experience in divorce mediation. This alternative to formal divorce proceedings often leads to better arrangements for both the parents and the children than a judge would impose. We are skilled litigators who advocate strongly for our clients. Our preparation and groundwork is relentless. When we walk into an Orlando courtroom, we know every detail of your case, and anticipate how the other side will act. We are prepared, because we know your future is on the line. When child custody cases turn into battles, no one really wins. 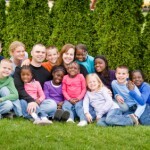 We help our clients resolve the hard issues involving the welfare of their children. Our firm has negotiated and litigated custody and parenting time cases many times, and we know how the Orlando courts handle these types of cases. We are here to help and guide you through all family law issues. In every instance we will do what is necessary within the law to attain the best possible result.